A band that seems to be making a pretty big name for themselves is a group out of New York City called Syka. 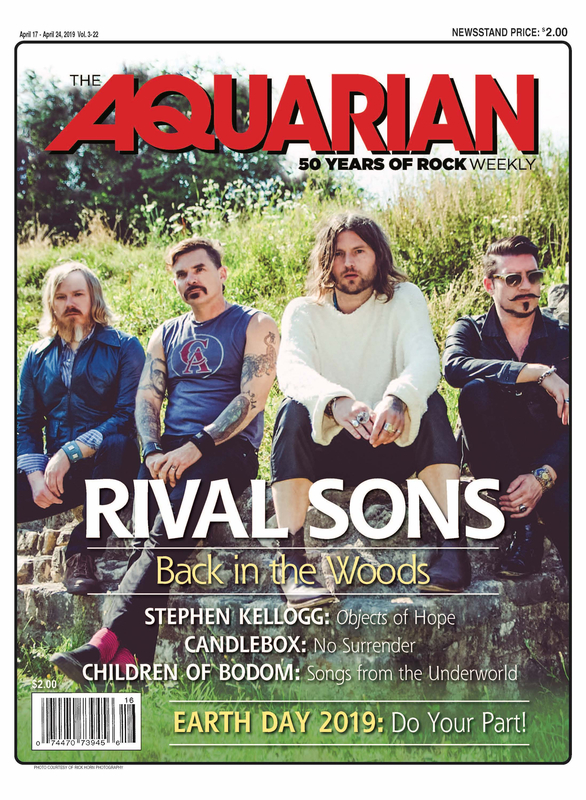 Back in June, I got a message from the lead singer, whom the band is named after, and she asked a simple question; “Do you write for The Aquarian?” I said that I did, and then she asked me to check out her band. At first, I thought she was flirting with me, but then the truth came out that all she wanted me to do was give her band a listen. How typical! Anyway, I did give her band a listen on their site, reverbnation.com/syka. The only song on there was a song called “Love Sick” and personally, I’m not sure Syka is doing anything different than Halestorm or Evanescence. I mean, she has a great voice and plenty of skill, but are record labels really looking for something that they already have? I guess you never know, huh? They are making some noise on the scene, so they must be doing something right. Syka formed in late 2011 somewhere in the Butler, NJ area, and they made their debut on New Year’s Eve 2011, believe it or not, opening for Halestorm. They played songs off of their upcoming self-titled debut CD. Syka and guitarist, X, waited to find the right chemistry before taking their show on the road. According to Syka, all of the music was already written and rehearsed by her and X. They were ready to go—they just needed a powerful rhythm section to complete their lineup. The funny thing is that they coincidentally found a bassist and a drummer who also go by one name like she and X do. Bassist Sgar and drummer Stryker were added to the group, and they haven’t looked back since. The band has been touring around the NYC Metropolitan area since their debut. They released their first single, “Love Sick,” from their upcoming self-titled CD, and it caught the attention of Q104’s Jonathan Clarke, who played the song on his Out Of The Box show on Sunday night. In addition, SYKA was also chosen as one of the top unsigned bands in the NYC area, which opened a lot of doors for them. For more info on Syka and their upcoming CD, visit www.syka.net. The gang from Kosmic Daydream has a couple of fun shows coming up. This Saturday (8/25), the Kosmic ones will be getting down and dirty at the Mud Man X event in New Windsor, NY. They’ll be performing while a bunch of nutballs run through muddy obstacle course. What says ‘fun’ more than rock ‘n’ roll and mud? For info on this event, log onto madmanx.com. Then the following Friday (8/31), Kosmic Daydream heads to Six Flags Great Adventure in Jackson, NJ, as part of the Live And Local Concert Series, where they will perform two sets on the Festival stage at The Lakefront. For more info on these shows, log onto kosmicdaydream.com. Has anyone seen the new music video from the Murder League All-Stars? It’s for their song “Obamanation,” and I love it! I’m not one for rap metal, but the hook in this song is so catchy! Plus, it’s about someone I truly dislike. When it comes to rap metal, my bros Timmy “Birthday Boy” McMurtrie and Eddie Night and crew really do it right. Check out the video for “Obamanation” now on YouTube or log onto murderleagueallstars.com. And finally, some great shows this weekend that shouldn’t be missed! Friday night (8/24), my boys Audio Machine will be making their debut at The Blue Room in Secaucus for Tim McMurtrie’s birthday. On the same night, Set It Free will be opening for Skid Row and L.A. Guns at the Bergen PAC in Englewood. The next night (8/25), Long Gone Day play the Speakeasy Bar in their hometown of Belleville, and wrapping up the weekend on Sunday (8/26), Rex Brown, Vinny Appice and their new band, Kill Devil Hill, invade Dingbatz in Clifton. Their debut self-titled CD is absolutely awesome so you might want to get to that show! For more info on this weekend’s amazing shows check out the concert calendar below.